Welcome to our official page. Here you will find everything there is to know, or there is to see and listen – mainly listen – about Heart Beat Saigon and Heart Beat Recordings. Download our latest productions, listen to the last mix tapes, or browse our photo and movie galleries. 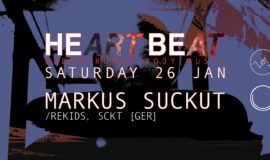 This will prepare yourself for any of the upcoming Heart Beats and other off events we regularly host in Vietnam. Of course you’ll find the dates of these fine raves here and more info in our event calendar! We have some more background on our young existence in English or Vietnamese . Too lazy to browse, just register for our newsletters and get all info when you need it the most! Can’t get enough of browsing, read more about our resident DJ’s or VJ’s and the guest from the past and present in bios menu! 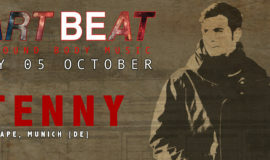 ► INTRO: Heart Beat in Autumn is finally back at the venue always considered Heart Beat’s home, the Observatory. The 3rd location of the legendary club, must be appealing to a lot more people, boosting a spacious rooftop terrace and warm wooden floors in the dark club space, that will offer an escape to anyone that loves good dance music, good company and tasty drinks. Some Day in 2011, our headliner Stenny, picked up the Zenker brothers Marco & Dario from the airport for their gig in Turin. He stayed in touch with Marco and Dario after the gig and quickly became part of the Zenker Brothers/ Ilian Tape family with other artist like Skee Mask, Jonas Kopp, & Laksa. 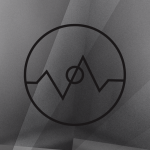 Together with his mate Andrea they are clearly causing an enormous interest ever since the Turin DJ’s became regulars on the label that was started by the Zenker brothers in 2007. Stenny, born in City of Nutella and Fiat, now based in Munich has already 7 releases under his belt and is resident of Ilian Tape nights at venues like Blitz Club, Rote Sonne or even Concrete. The line up further cemented by MAdderModes and Chris Wolter is guarantee for a night to remember.